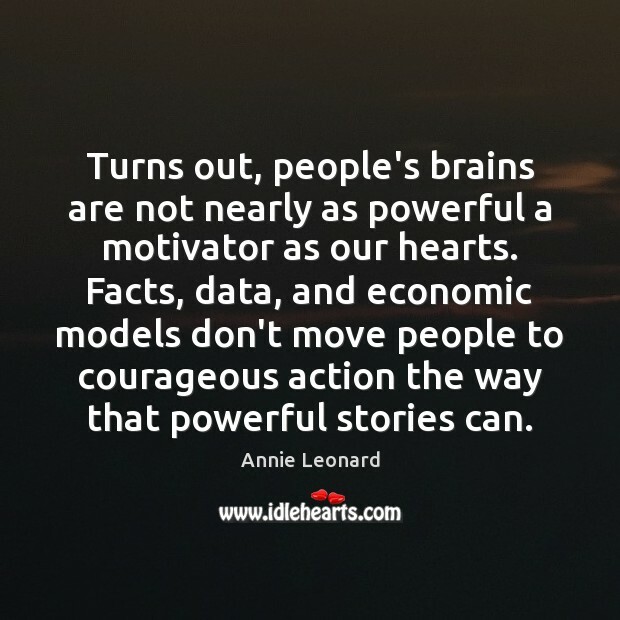 Enjoy the best inspirational, motivational, positive, funny and famous quotes by Annie Leonard. Use words and picture quotations to push forward and inspire you keep going in life! We depend on this planet to eat, drink, breathe, and live. 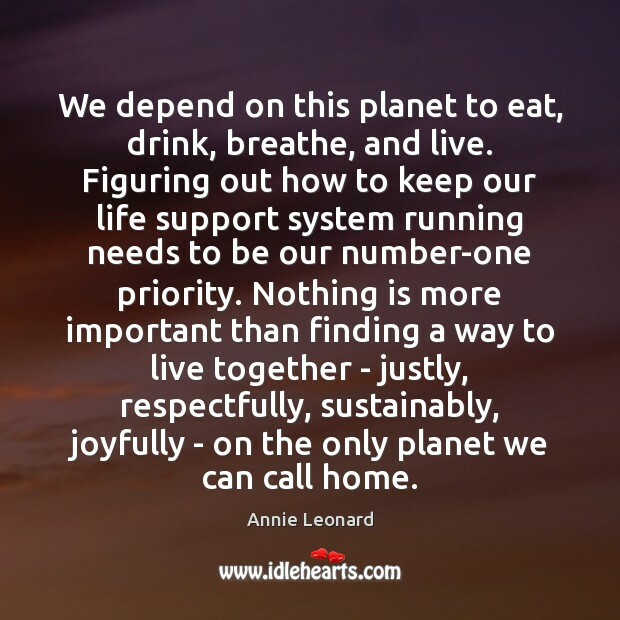 Figuring out how to keep our life support system running needs to be our number-one priority. 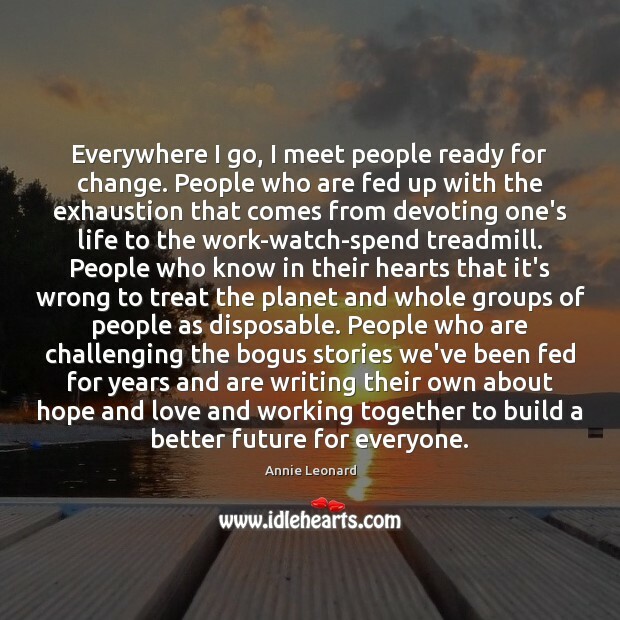 Nothing is more important than finding a way to live together - justly, respectfully, sustainably, joyfully - on the only planet we can call home. 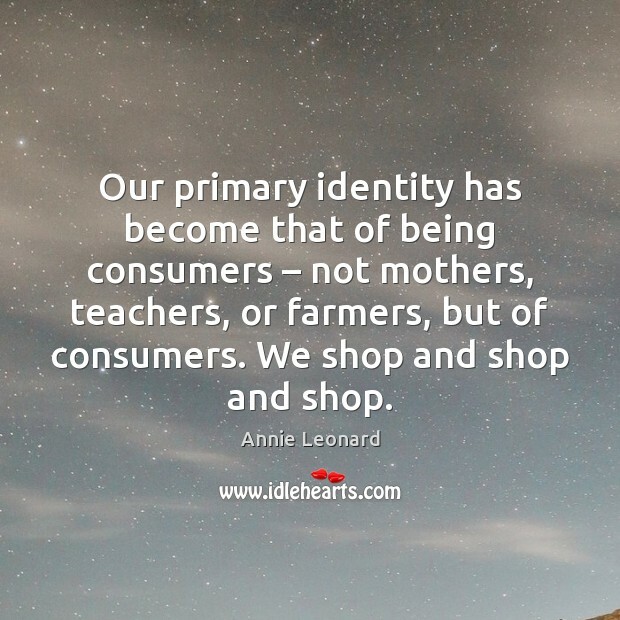 Our primary identity has become that of being consumers – not mothers, teachers, or farmers, but of consumers. We shop and shop and shop. 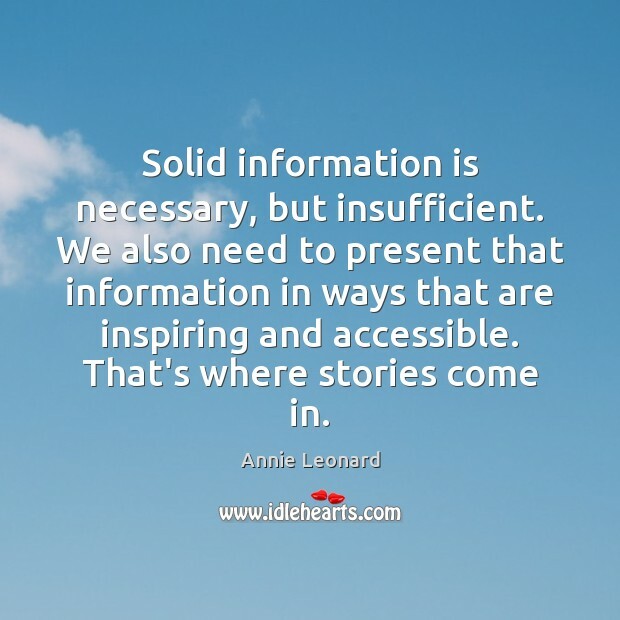 Solid information is necessary, but insufficient. We also need to present that information in ways that are inspiring and accessible. 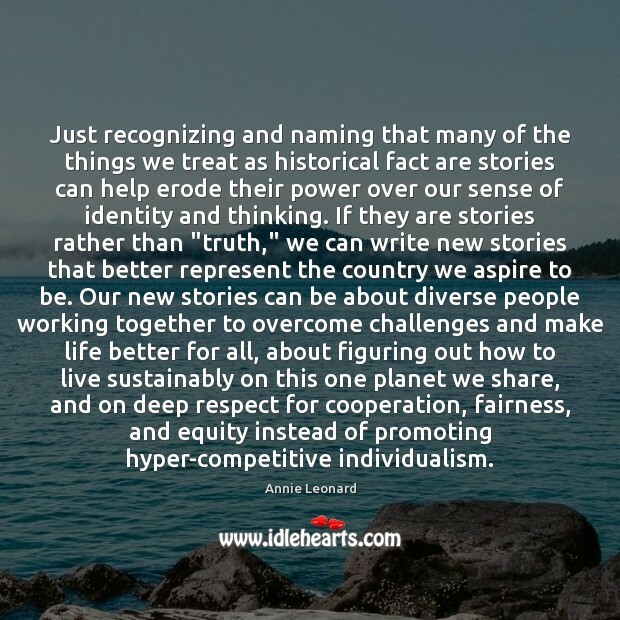 That's where stories come in. 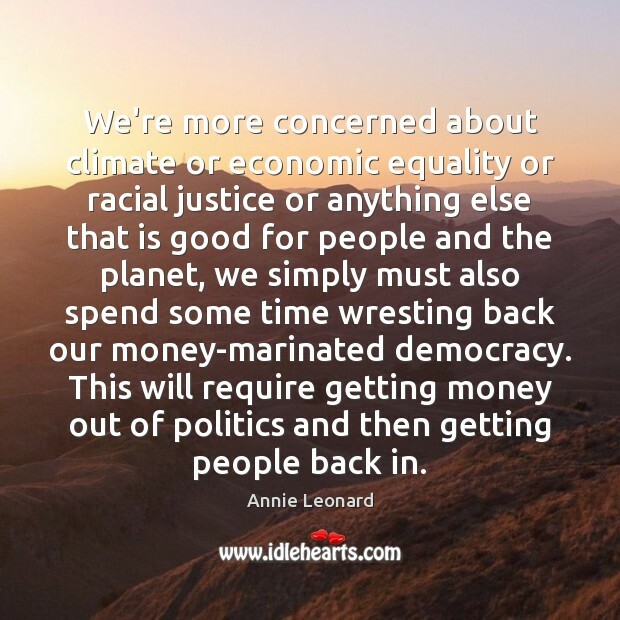 We're more concerned about climate or economic equality or racial justice or anything else that is good for people and the planet, we simply must also spend some time wresting back our money-marinated democracy. This will require getting money out of politics and then getting people back in. 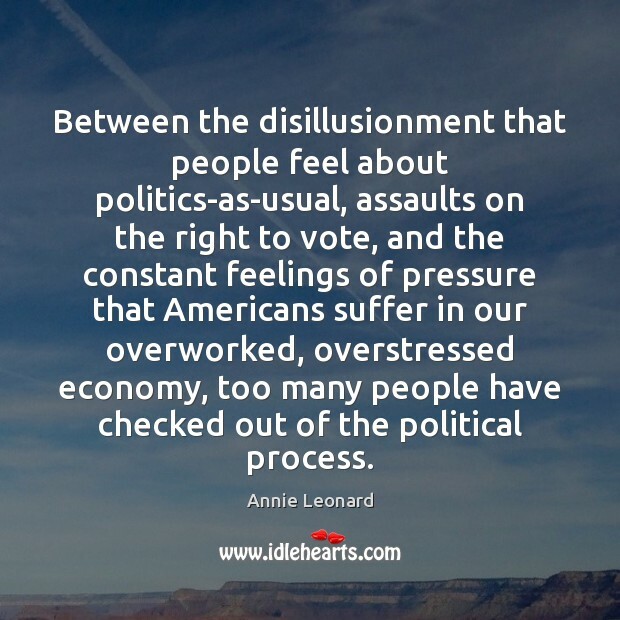 Between the disillusionment that people feel about politics-as-usual, assaults on the right to vote, and the constant feelings of pressure that Americans suffer in our overworked, overstressed economy, too many people have checked out of the political process. 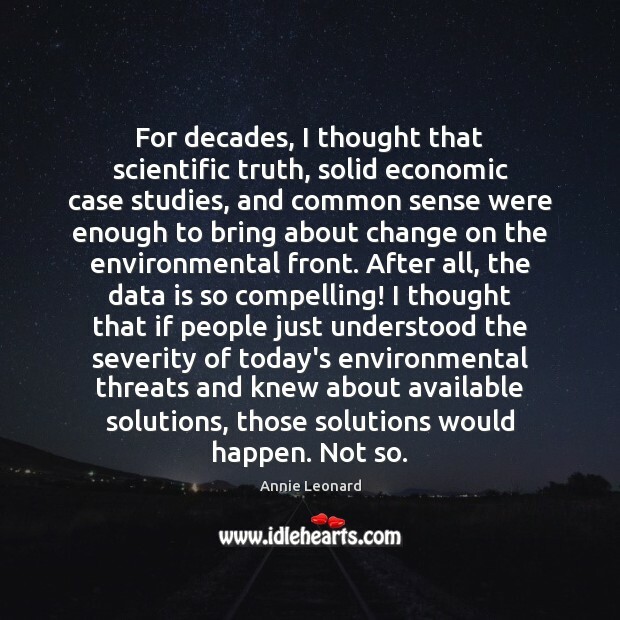 For decades, I thought that scientific truth, solid economic case studies, and common sense were enough to bring about change on the environmental front. After all, the data is so compelling! 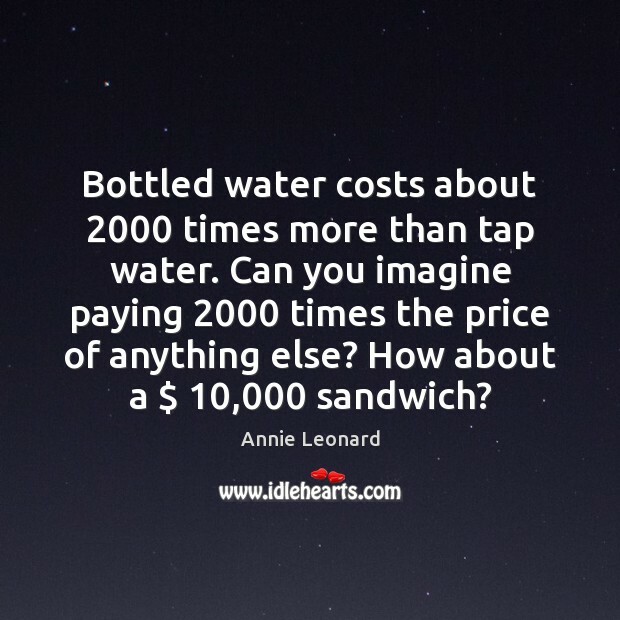 I thought that if people just understood the severity of today's environmental threats and knew about available solutions, those solutions would happen. Not so. 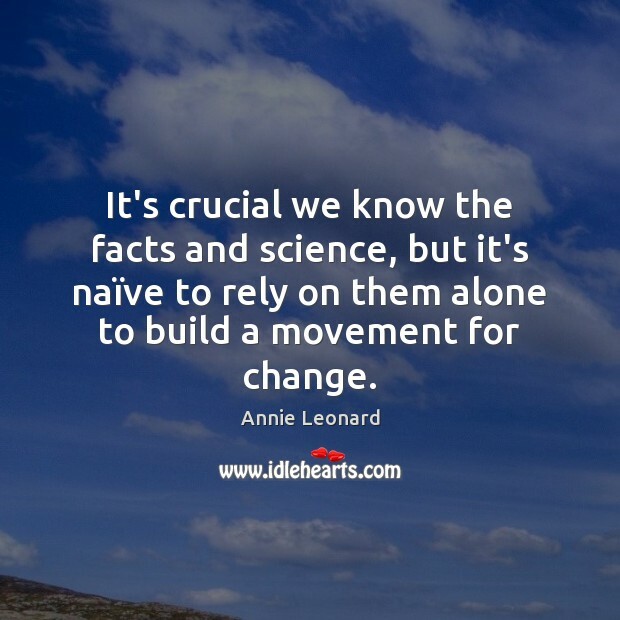 It's crucial we know the facts and science, but it's naïve to rely on them alone to build a movement for change. 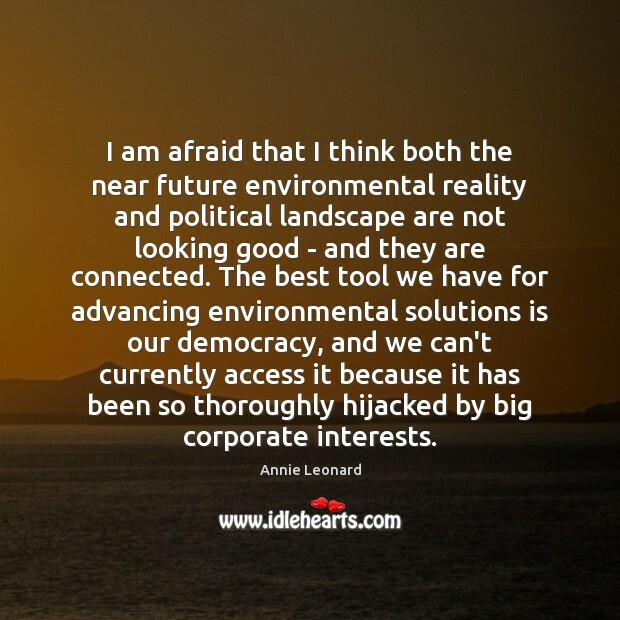 I am afraid that I think both the near future environmental reality and political landscape are not looking good - and they are connected. 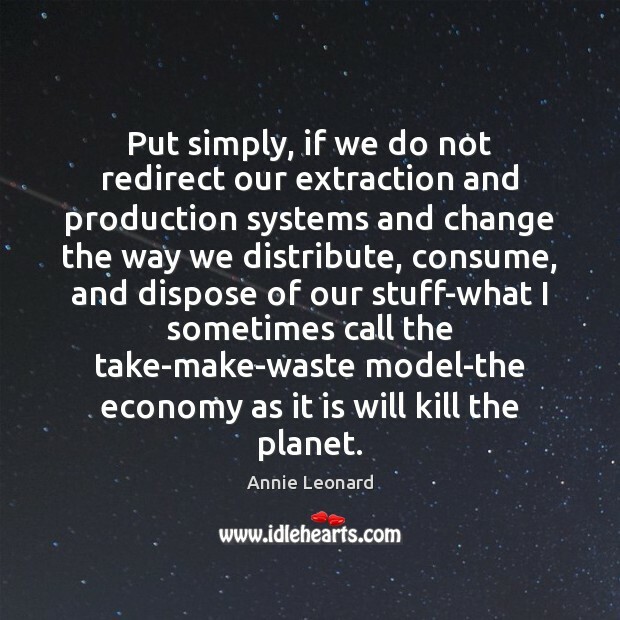 The best tool we have for advancing environmental solutions is our democracy, and we can't currently access it because it has been so thoroughly hijacked by big corporate interests. 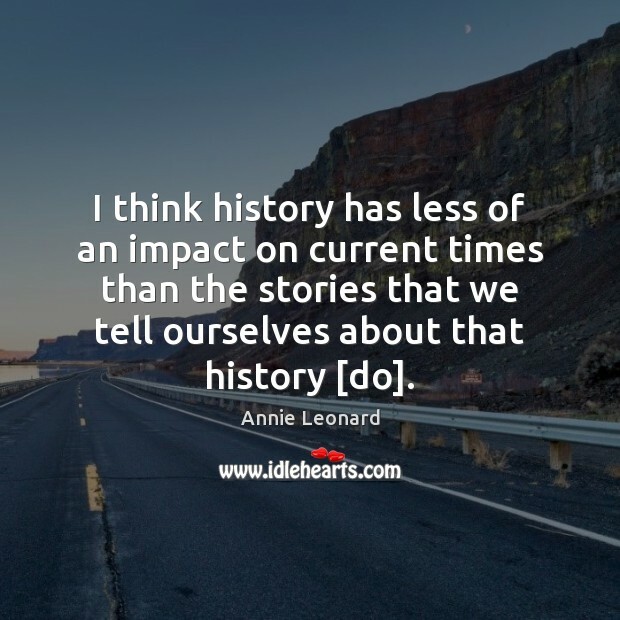 I think history has less of an impact on current times than the stories that we tell ourselves about that history [do]. 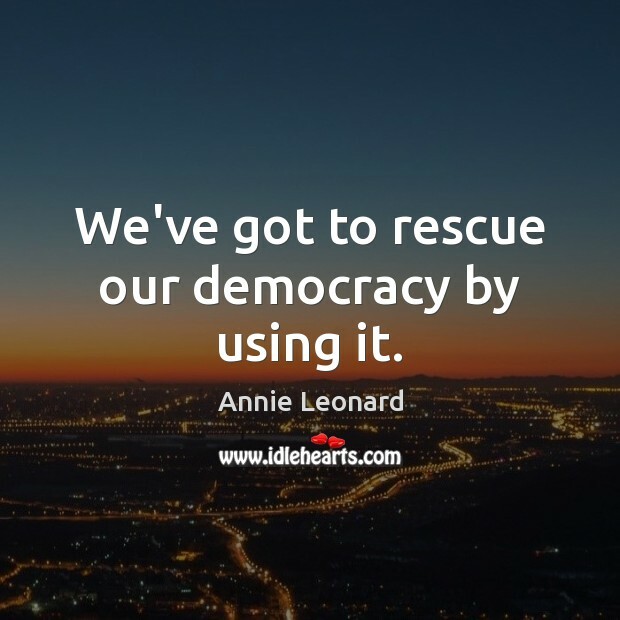 We've got to rescue our democracy by using it. There is no such thing as away. 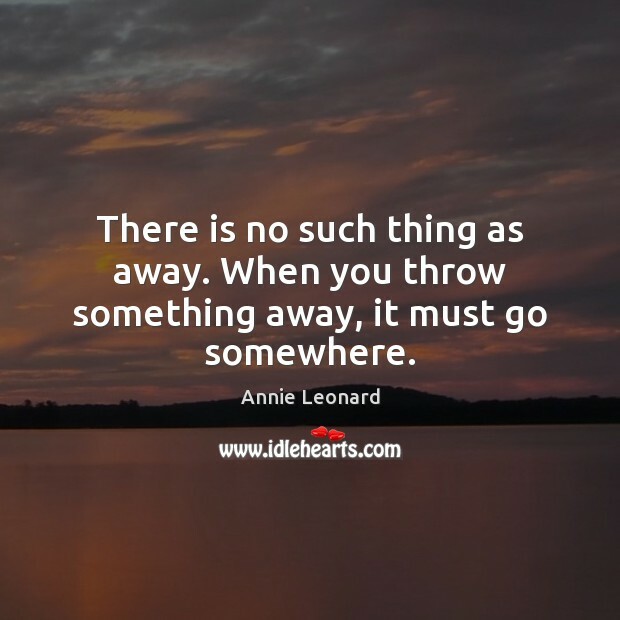 When you throw something away, it must go somewhere. 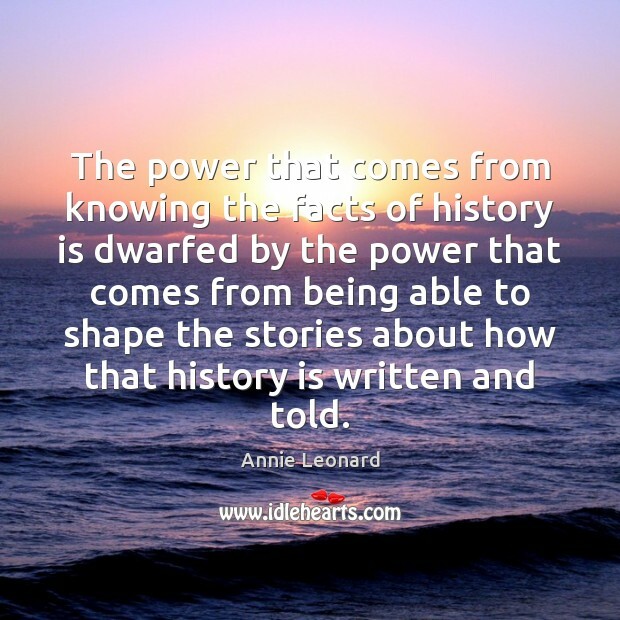 The power that comes from knowing the facts of history is dwarfed by the power that comes from being able to shape the stories about how that history is written and told.